In this game you’re a sperm with the great destination of meeting with the eggs and complete the fertilization. You know that there are almost 250 millions of sperm in each of the race and this race is truly abut life and death. You can use the arrow key to control the sperm and be really fast so no other sperm can get near the egg before you. But also there are some sticky part in the way which can get your big plan stopped and end your journey. Best luck and have fun. You can play The Great Sperm Race free online sports games at fogames. It has tags: Skill,Educational. It has 2339 total plays and has been rated 81.2% (8 like and 3 dislike), find the fun and happy day. If you want to play more sports games, we find some of the game: Great Basement Escape, Neon Race 2, Sprint Race 3D and Street Race 3. To play other games, go to the skill games page, the educational games page, or just check out the new games or best games page. 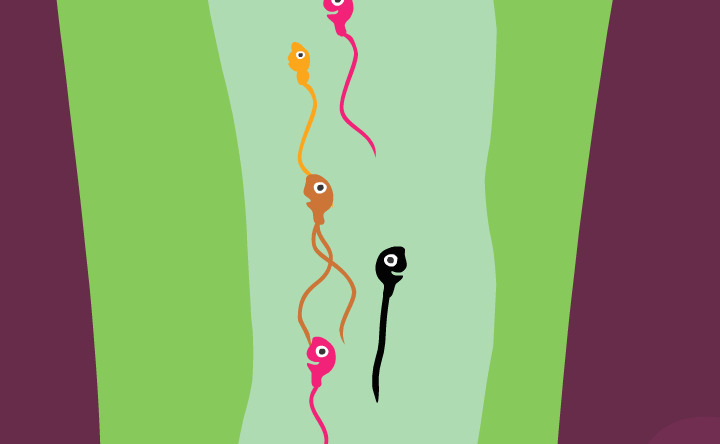 Play The Great Sperm Race online games, Fun and Happy.